Amazing new spray paint white snake chain with gold or silver charm pendants. This brass chain has a white spray paint covering over most of it has gives an amazing new look to your bling. 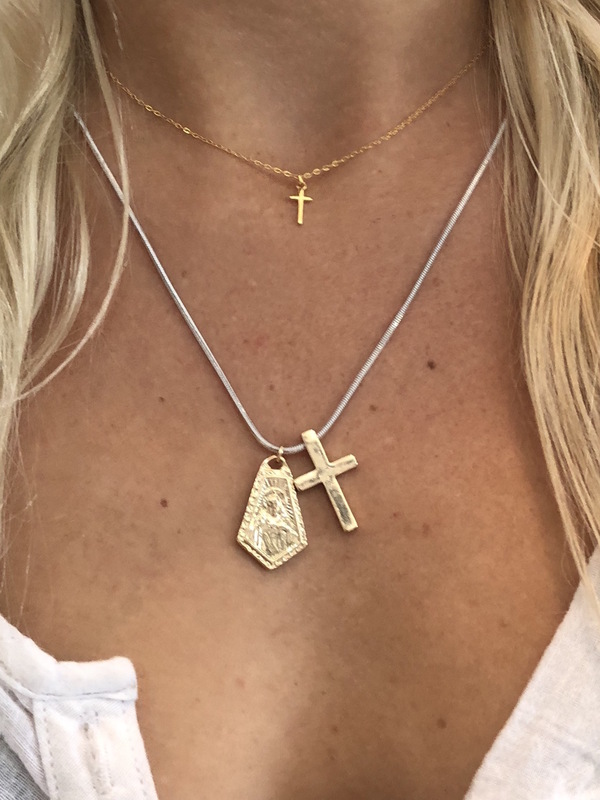 The thick cross and St Christopher charm complete this popular style. 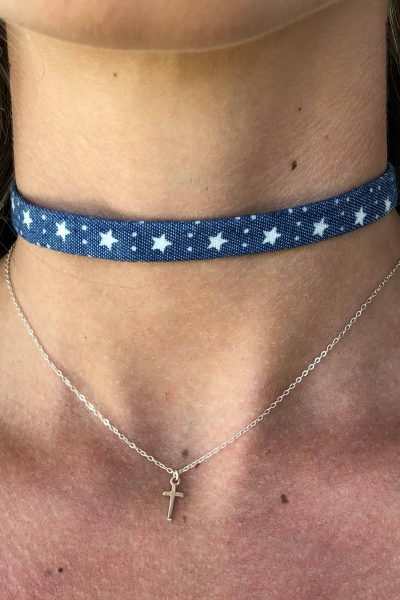 Note main pic is gold colour and also pictured with our fine sterling silver gold plated cross choker (not included). 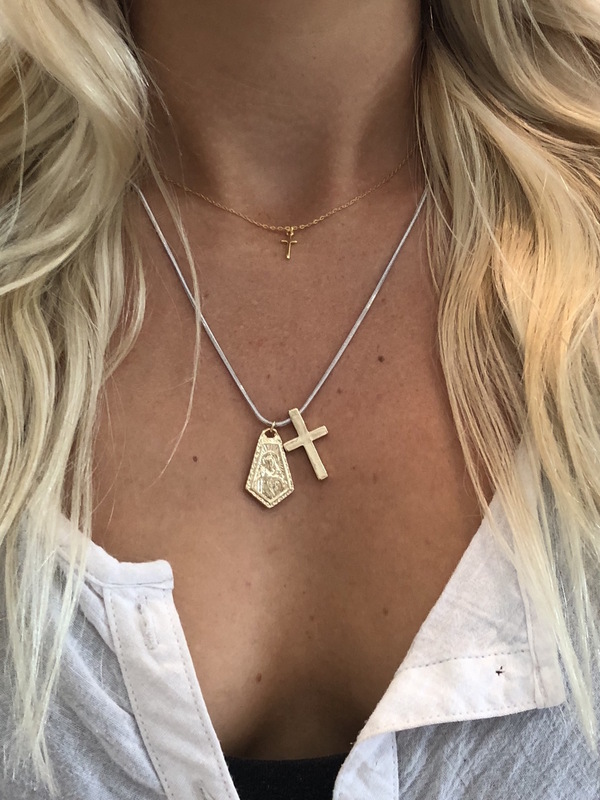 Stylist tip: layer this long necklace with one of our short chain necklaces like the cross sterling silver necklace seen paired in the image.